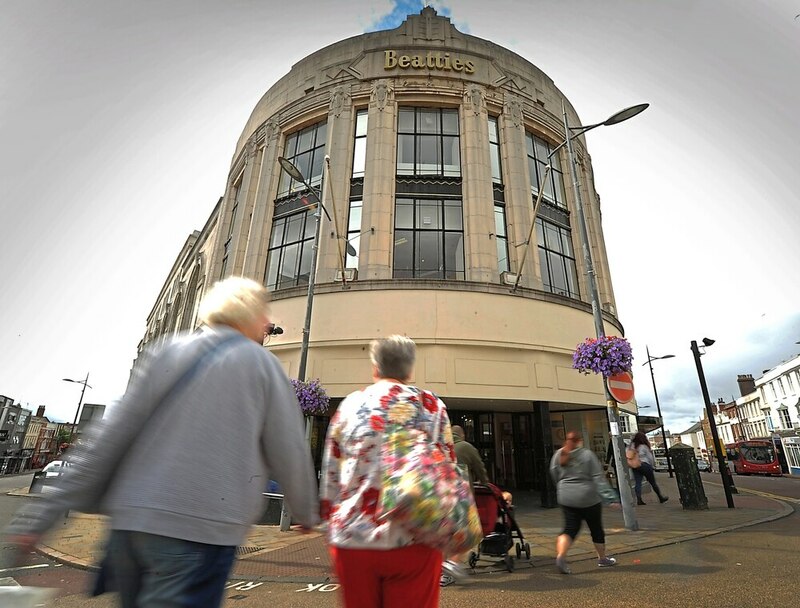 What does the future hold for Beatties? I have followed with interest the various exchanges triggered by the potential loss of Beatties. In taking up my pen I do not do so as an honest broker, for I spent 29 years on the inside, looking out, having joined Beatties in 1967 as assistant accountant, and retired in 1996 as joint managing director. There is no doubt that Beatties was very special. I was born and bred in the city and so Beatties was part of my psyche, even before I sold my soul to the company store. For many from far beyond the city boundaries, the mention of Wolverhampton will conjure up the Wolves of the 50s, or Beatties, or maybe both. Virtually every Wulfrunian will have a memory centred on Beatties, mostly good, a few not-so-good, many embellished by the passage of time, but all part of our city’s heritage. The store was not just an ‘iconic’ building. It was not just a name on the wall. Beatties was the realisation of a philosophy. A philosophy based upon strict ethical standards set out by James Beattie (JB) for all dealings with customers, staff (the members) and suppliers. Those standards had to be first defined very clearly, then understood and accepted and applied with pride by the staff (“They have to want to wear the cap badge” I was told) and, finally, enforced with vigour. That enforcement comprised extensive training and caring encouragement, if necessary backed up, for senior managers, by an element of fear. The summons to JB’s office to face the question “What was in your mind when ……………. ?” caused grown men to quake. Underlying this was the credo of “Customer satisfaction to the extent of full refund if necessary”. At times staff smiled through gritted teeth, knowing that advantage was being taken. A necessary skill in carrying out the company policy was the development of a readiness to actually apologise “I’m sorry, we didn’t do that very well, and we will sort it out”. This was a vital component of the company ethos and it is only since I retired that I have come to realise that, beyond Beatties, the acceptance of responsibility and willingness to apologise is a lost art – it is always someone else’s fault. Whatever Mr Ashley (or whoever) decides, whatever survives, whatever form it takes, whatever the name on the wall, we must not delude ourselves that it will be Beatties. Many in the city want a good department store, some will assert that the city needs it and the population justifies it. The vital question is can we, as Wulfrunians, sustain it? Department stores are massive investments in terms of premises, equipment, stock and staff. They do not trade on memories, however golden. They need to be able to depend on customers prepared to go in, regularly, prepared to emerge with their wallets lighter.